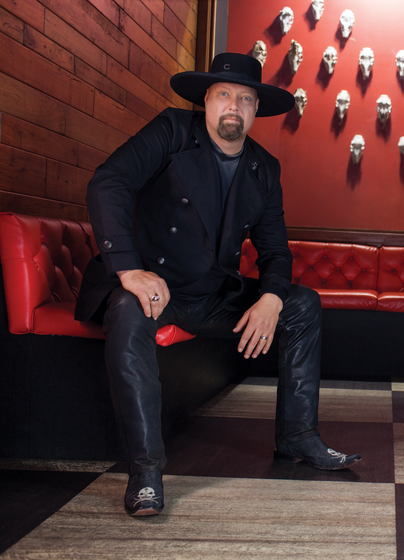 Memorial Day Weekend Montgomery Gentry’s Eddie Montgomery will host “The Gift,” a two-hour radio special presented by Fisher House in recognition of those who have given so much for our freedom. Listeners can tune in to country radio stations across the country in such markets as Chicago, Houston, San Jose, Louisville, Lexington, Boston, Orlando, Poughkeepsie, Sacramento, Nashville and more. Along with hits from country’s biggest stars, “The Gift” features some very special military guests who share their inspiring stories with the audience. Montgomery Gentry has been dedicated to supporting the nation’s military and their families throughout their 20-year career. The band is currently on the road on their “Here’s To You” national tour. Montgomery Gentry’s new single, “Get Down South,” is in rotation on SiriusXM and at country radio stations nationwide. “The Gift,” presented by Fisher House, was created, written and produced by Sharla McCoy, McCoy Productions, Inc.
Average Joes Entertainment’s acclaimed Montgomery Gentry released their long-awaited studio album, “Here’s To You,” on February 2, 2018. With 20 plus charted singles, the Kentucky-born duo has earned CMA, ACM, and GRAMMY awards and nominations with undeniable blue collar anthems like “Hell Yeah,” “My Town,” and “Hillbilly Shoes.” They’ve notched five No. 1 singles, “If You Ever Stop Loving Me,” “Something To Be Proud Of,” “Lucky Man,” “Back When I Knew It All” and “Roll With Me.” They were inducted as Grand Ole Opry members in 2009 and were inducted into the Kentucky Music Hall of Fame in 2015. For more about Montgomery Gentry, visit www.montgomerygentry.com, engage with the band on Facebook, @mgunderground on twitter, @montgomerygentry on instagram and on YouTube. Fisher House Foundation is best known for its network of 75 comfort homes where military and veterans’ families can stay at no cost while a loved one is receiving treatment. These homes are located at major military and VA medical centers nationwide, and in Europe, close to the medical center or hospital it serves. Fisher Houses have up to 21 suites, with private bedrooms and baths.Families share a common kitchen, laundry facilities, a warm dining room and an inviting living room.Fisher House Foundation ensures that there is never a lodging fee. Since inception, the program has saved military and veterans’ families an estimated $400 million in out of pocket costs for lodging and transportation. Fisher House Foundation also operates the Hero Miles Program, using donated frequent flyer miles to bring family members to the bedside of injured service members as well as the Hotels for Heroes program using donated hotel points to allow family members to stay at hotels near medical centers without charge. The Foundation also manages a grant program that supports other military charities and scholarship funds for military children, spouses and children of fallen and disabled veterans.